Toddler bed is set at preciously the right height. 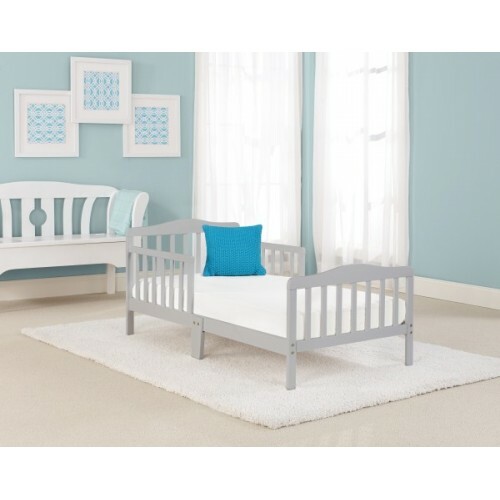 Designed so that your toddler can safely get in and out of the bed. Toddler bed comes complete with two side safety rails. 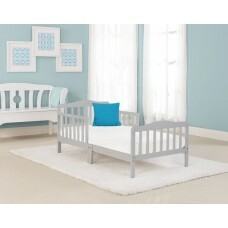 Toddler bed is the perfect transition for toddlers, Who have outgrown their cribs. Lead and phthalate safe. Non-toxic finish. Easy to assemble. And comes with all necessary tools.